The Knight Lab at Northwestern University recently announced a new microsite for analysts, journalists and programmers interested in exploring social network analysis in journalism. 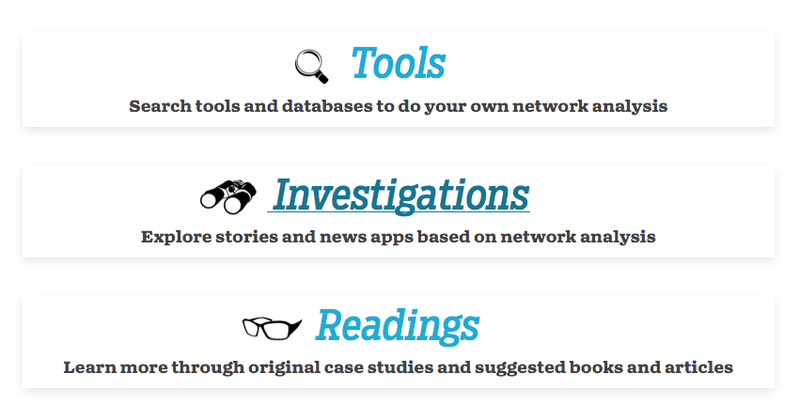 The new tool – Untangled – provides users with search tools and databases for conducting network analysis, a catalog of stories and news apps based on network analysis, and original case studies and suggested books for learning more about network analysis. You can read more about Untangled and The Knight Lab’s mission here. This entry was posted on Monday, January 6th, 2014 at 2:10 pm and is filed under DATA VISUALIZATION, INFOGRAPHICS, PACKAGES, WRITING. You can follow any responses to this entry through the RSS 2.0 feed. Both comments and pings are currently closed.